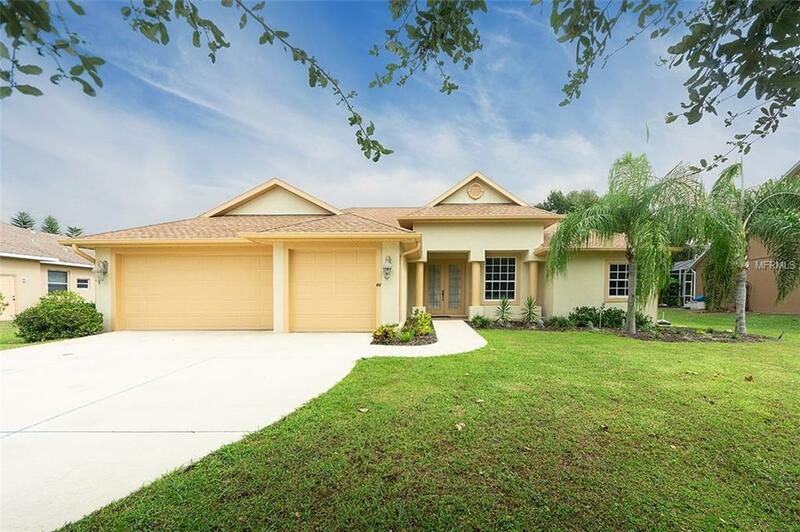 Fantastic Opportunity to own this extensively upgraded custom built 4BR/3BA pool home with a 3 car garage on an oversized .45 acre fenced lake and preserve view premium lot with serene views and plenty of privacy. Upon entering the foyer, you immediately sense the impeccable design of this spacious home with extensive upgrades. This elegant home is ideal for entertaining with a formal dining room, spacious family room that flows to the eat-in kitchen with a breakfast bar, 42" solid wood cabinetry, under cabinet lighting, granite counter tops, breakfast nook overlooking the pool, tiled backsplash, and pantry. Pure luxury awaits you in your private en-suite with new wood laminate flooring, two walk-in closets, garden tub, and walk-in shower. Additional features include a formal living room, den/office, 10' ceilings, tray ceilings, upgraded light fixtures and ceiling fans, and a spacious laundry room. Enjoy outdoor entertaining on the extended newly rescreened lanai with two patio areas and a large pool with a NEW pool heater. This gorgeous custom home was built to withstand up to 240 mph winds with solid concrete walls that are reinforced with rebar. Exterior features include a new A/C, fenced yard, newly painted exterior, 3 car garage, and lush landscaping. Conveniently located in the Lakewood Ranch area with NO CDD's, A-rated schools, shopping, and restaurants.